The bottom of the base or deck of the unit has a 510 connector that screws onto your battery. On the top side of that is a riser with positive and negative mounting posts separated by a small gap. Phillips head screws for connecting the coil sit on top of the riser. Between the two screws is an air hole that leads to the air intake on the side of the unit. The coil leads should be wrapped around the two screws in such a way that the coil sits just a millimeter or two above the air hole. Air flow can be adjusted using a recessed hex screw located just to the left of it. The interior chimney is what makes the KFL special. A threaded tube screws onto the outside of the riser and then has a funnel top that screws onto it. The tube sits just on top of two liquid channels on the base which allow just enough juice to flow in to wet the wicks that lie on either side of the riser. 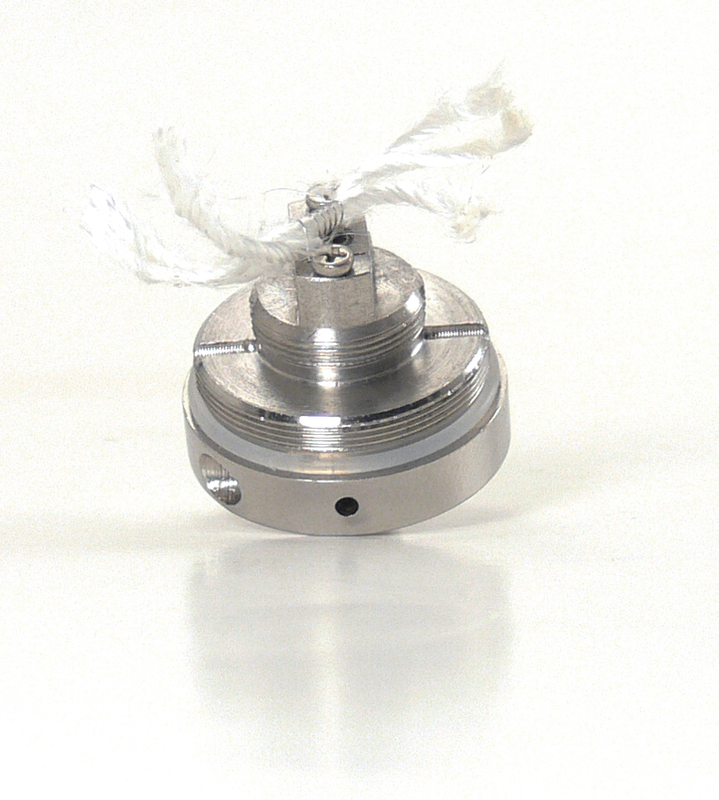 When the coil is heated, vapor fills the inner chamber and is then concentrated through the funnel top and into the mouthpiece. 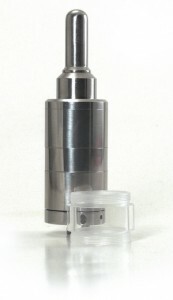 The outer tube portion of the MFS Kayfun Lite Plus is comprised of three sections. Equal size top and bottom sections are female threaded on both ends. The center section then has male thread on both ends to connect them together. This allows for the use of either a stainless steel or translucent center section, both of which are included. Finally, the top cap screws on, with an o-ring in place around the outside edge to keep things air tight. There is also a smaller o-ring in the center that seals the top of the chimney to the air passage in the center of the top cap. 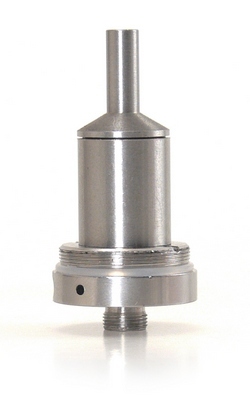 On the other side of the cap is a wide protrusion with deep well for a standard 510 drip tip. The metal drip tip supplied has a really wide interior space but a much smaller air hole at the end. 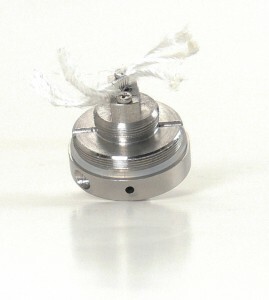 It is rumored that this design helps to further concentrate the vapor. That may be, but I couldn’t tell much difference when using other drip tips. Put it all together and you have a tank that’s 22mm wide and 73mm long. E-liquid capacity is 4.5ml, enough for a day’s worth of vaping.